HELP! It's Thing 2 and 5's birthday next week and I am so not ready at all. You would think being their Mum and knowing that their birthday is on the same day EVERY year I would be a bit more organised but nope! I am running around like a nutter and spending most nights asking Thing 5 what he would like for his birthday. I also cannot believe my baby is turning 5 but that is a whole other (sobs into my cuppa) blog post! So far he's asked for a dog, a large stuffed penguin, some Skylanders, lots of fidget spinners, a trip to FGTeeV's house, a Mcdonalds and KFC birthday tea and a Build A Bear Pokemon. Now some of those items I cannot get (sorry Thing 5!) and as much as a trip to America would be fab I am not sure FGeeTV and gang would appreciate us just turning up at their door like some crazy stalkers. 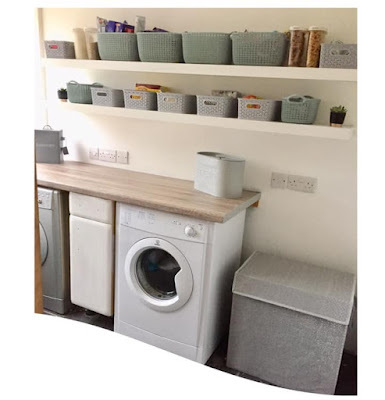 So here are a few more items I have subtly suggested to Thing 5 that he may like for his birthday and my pick of a few items that caught my eye for gift ideas. Thing 5 has started playing a Danger Mouse game and so I stumbled across a few Danger Mouse toys on Amazon. 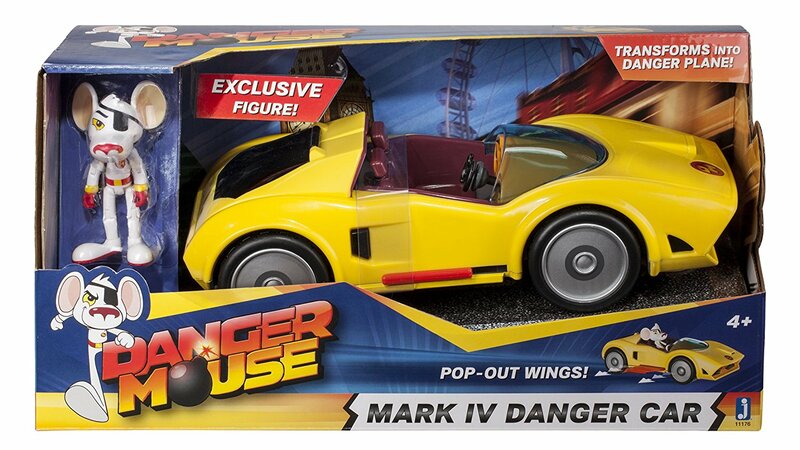 This Danger Mouse car with pop out wings and Danger Mouse figure looks great and not a bad price at just £13.99. 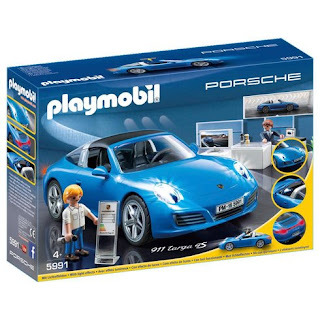 I have always liked all of the different Playmobil sets that you can buy and Thing 5 recently saw an advert for the Playmobil Porsche 911 Targa 4S play set which looks great. Also DadofFive has always wanted a Porsche so I can't not buy it. 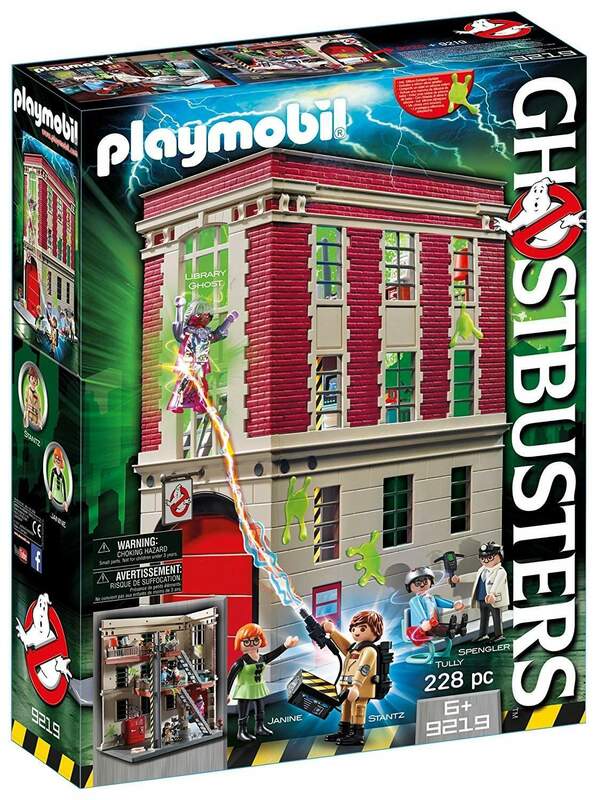 I also thought that the new Playmobil Ghostbusters sets looked great. Ghostbusters is a well loved film in our house and the playsets look really good. 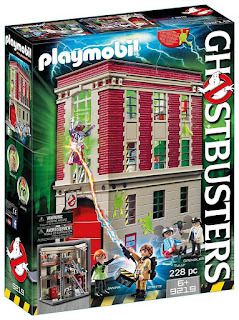 The headquarters play set looks amazing and has 228 pieces included in the set with an RRP of £59.99 although I have found it slightly cheaper by shopping around. 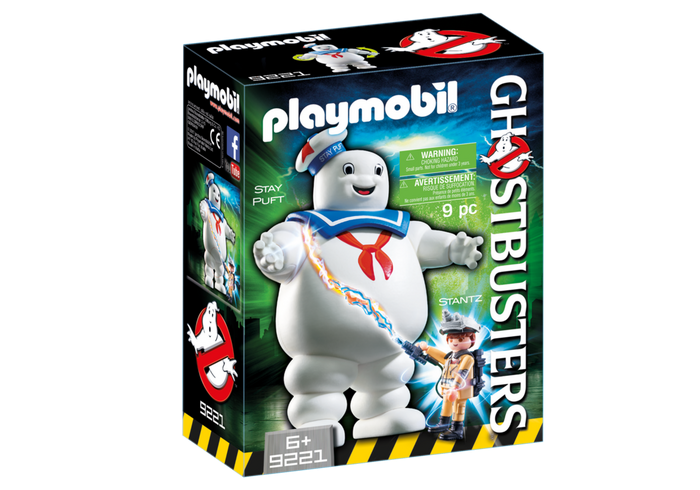 We cannot leave out the Ghostbusters Stay Puft set at just £16.99 its a lovely little extra to add to the rest of the Ghostbusters sets. Thing 5 also likes playing Lego with his older brother. Usually resulting in every single piece of Lego being tipped out onto the floor and a mass Lego building session takes place. As much as the sound of a Lego avalanche pains me they do play for quite a while building and creating weird and wonderful creations. 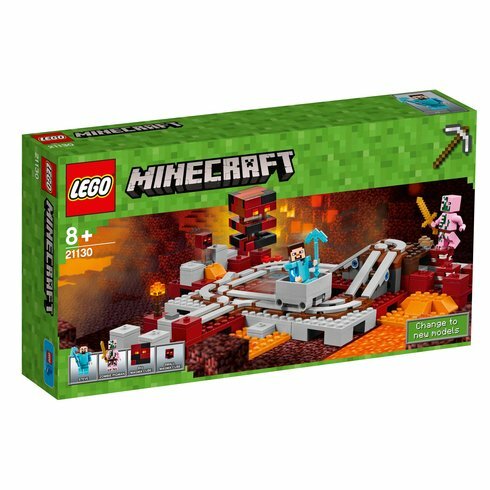 Up until now it has always been Thing 4 that has received Lego as gifts but I spied this Lego Minecraft The Nether Railway set and thought it perfect for Thing 5. He plays Minecraft a little and he loves nothing more than to build the railway within the game so this Lego set is perfect. Thing 5 is always asking for Skylanders Imaginators Sensei figures to add to his ever growing collection. 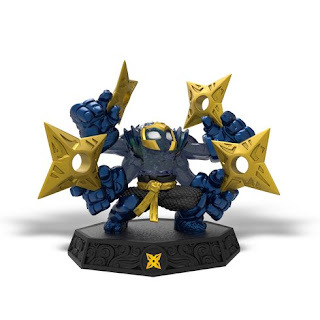 They already have lots of these but he has asked for the Starcast figure for a while now and they still play the Skylanders Imaginators game lots so it will get plenty of use. Skylanders Imaginators Sensei figures retail at £14.99 per figure. 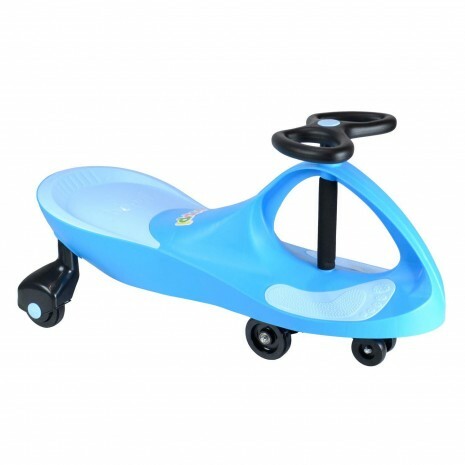 Last but not least we have the Boppi ride on wiggle car from Bopster. Thing 5's cousin has one of these and whenever we visit all of the Things argue over it and I know he would love one. At a very reasonably priced £24.75 and a great little ride on toy that will provide hours of fun (and possibly a few arguments too!). So there we have a few birthday or even (dare I say it!) Christmas gift ideas for the young ones. With just a week to go until their birthday I best get buying some gifts. What would your child choose for their birthday?